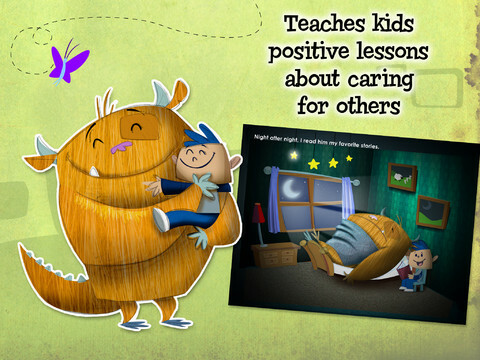 Cute interactive story for the iPad on sale for only $.99 – Even Monsters Get Sick is a story written for kids 5+ about a boy and his pet monster. 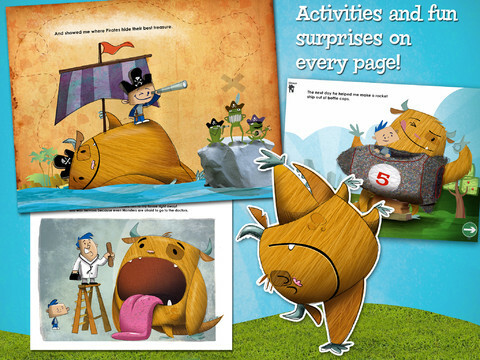 Kids can follow along or read on their own as Harry tries to discover what is wrong with his monster. The artwork is appealing and there are animations on every page. It is a nicely done story with a positive message told by Harry, the boy. Perfect :).